We are planning a 7-10 day holiday in July 2019 and oir plan is to enjoy Chicago city and any suggestion close-by (Michigan Lake, Illinois,…). Could you please give us any ideas? 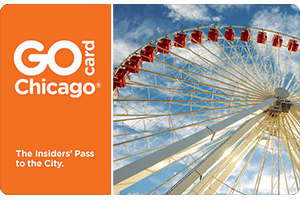 Admission to 25+ Chicago attractions for one low price. Save up to 55% on top attractions, sightseeing tours & more. Official Go Chicago® Card site. Gocards are definitely great ways to get around Chicago! While you’re here, I also suggest getting out of the downtown/mag mile area and checking out the different neighborhoods as well. The most touristy aspects of Chicago are downtown, but most locals live outside of the downtown area, as it’s mostly centered on commerce. What you’re interested in will depend on which neighborhood to visit, but for examples, there’s Wicker Park which has shopping/old mansions/trendy businesses and restaurants, Logan Square which is Wicker Park’s cooler and more tattooed neighbor with lots of fun bars and restaurants, Andersonville is the old Swedish neighborhood with shops, dining, and antiques, Lincoln Park has the park and a wonderful free zoo, you can rent bikes and bike up the Lakefront Trail to see the lake and the city, and so much more. Most places are easily accessible via CTA. I wouldn’t plan on driving in Chicago if you can avoid it, as parking can be hard to find and very expensive. The CTA (our train and bus system) can get you most anywhere in the city. Like previously stated below, what’s on the Atlas is pretty great! But there are also many other great things to do here. For example, if you wanted to find out a bit of Chicago’s history, I would suggest you visit the Chicago History Museum it’s so, so cool; I’ve personally gone several times. The Chicago History Museum is also right by North Avenue Beach, which many people seem to enjoy; however, I would actually suggest to go to Hollywood Beach on the North Side or 31st Street Beach on the South Side. Both are wonderful. There are so many more places to visit and eat at! Those are just some places I frequent. Hope this helps!! Blue Chicago for a favorite dive with live local music. Thanks a lot nicanderson921, everything sounds GREAT!!! The best joint in Chicago, IMO: The Berghoff. It’s a Chicago institution, located in the loop - beautiful inside and out, fascinating history (liquor license #1 post-prohibition! ).